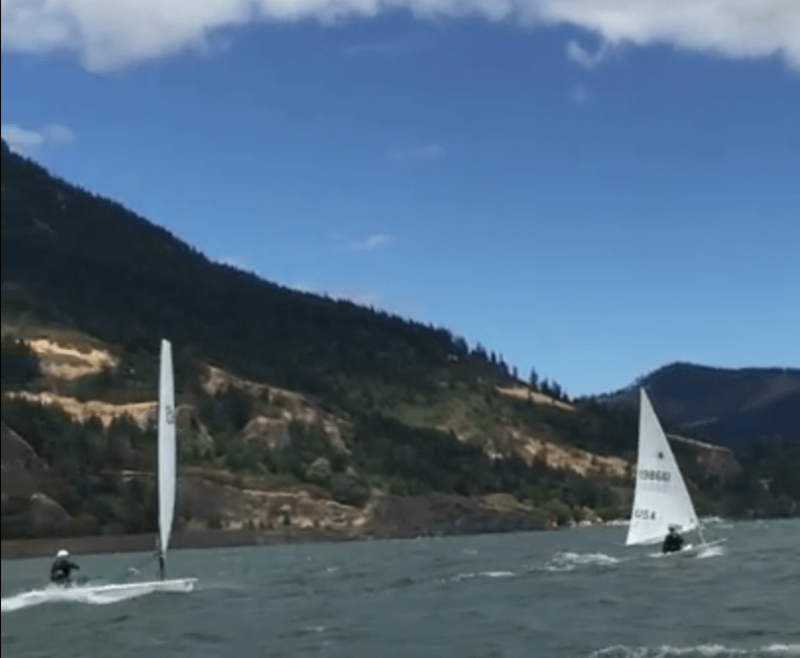 This awesome annual race takes competitors on an adventure downwind and up current through the beautiful Columbia River Gorge, winding from Cascade Locks to Hood River in an ever freshening breeze. There was a low turnout this year due to clashes but two intrepid RS Aero sailors took on the challenge. On his second sail in his new boat Andy Mack sounds to be playing it safe but he still took out the win. Results are for line honours but if you apply the UK based PYs he still clinched it. Recorded speeds are not huge due to the course being running downwind against the current.